This book covers all the aspects of human intelligence in terms of values and ethics. This is a modest attempt to cover all the aspects of Indian Ethos which can be easily understood, which are categorized in fifteen chapters with individual contents. The very first chapter − Bases of Indian Ethos − covers each soul is a potential God, a holistic Approach towards humanity, Importance to Subjectivity / Objectivity, Karma Yoga, Yogah Karmasu Kaushalam, Human Co-operation, Summary and exercise. 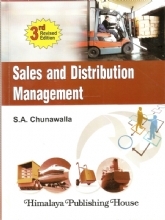 Chapter 2 includes Modern Approach towards Indian Ethos that will be detailed as Introduction, Indian Management Thoughts, Holistic Approach to Management, Indian Ethos − Defining the concept, Sadhana −In Management context, Indian Ethos − Modern Management Concept, The Tatwas in Indian Ethos and the exercise. 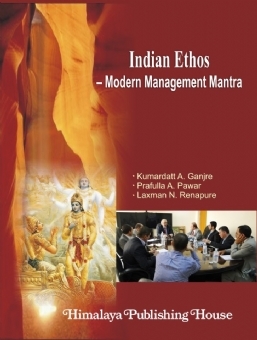 Indian Ethos Management Thoughts and Practice is covered in Chapter 3 that incorporates Harmony with Environment, Dharma, Swadharma and Detachment, Holistic approach to Personality, Dharmic Leadership, Personality, heredity and Environment. 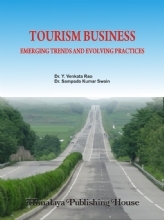 The discussion about Ethos in Indian context is continued in Chapter 4 that includes Introduction as a social Audit of Indian cultural environment, Eco-friendly Technology and Ecological Responsibility of Business, Understanding Work Ethics and Ethics in Work, Business ethics, values and human rights, Common ethical and Unethical Business practices, Holistic approach to management and Exercise. 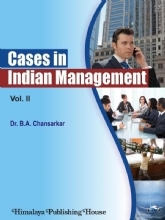 The new concept of Management Performance − Indian Context can be well understood in Chapter 5 as a Managerial functions and organizational functions, Flow of managerial process, Indian management thoughts and practices, Management Cycle. 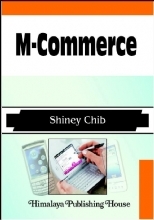 The current trends and Era in Knowledge Economy is discussed in Chapter 6 with details in terms of Introduction −− Knowledge workers (People), The age of the knowledge capital, Building blocks of a learning organization, Structure of the new people management, Business strategy, and summary and exercise is given at the end. 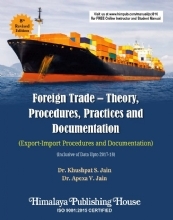 Chapter 7 includes Learning and Education System in India covering Defining Learning, types of learning, Selective theories of learning, Importance of Learning, Gurukul System of Learning, The beginning of modern education system, Distinguish the traditional Indian Nature of Learning with the Modern Method of Learning, Achievements of the Indian education system and brief summary and exercise. 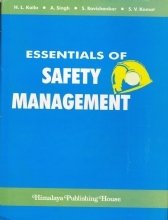 Human Values and Its Implications is taught in Chapter 8 that includes importance of Human Values, Objectives of value-based system, Interrelation of Values and Skills, Learning through Traditional methods of mind purification, Modern methods of mind purification, Implications in practice, Learning values through cases with summary and exercise. The new and fresh Chapter 10 will put a focus on Value-oriented Holistic Management with definition about, Values, Dharma, Moral and ethical values, The brief discussion about Significance of values, Golden rule of ethics, Values and skills, Values and the workplace, Value-based Human response management, Need of value-based holistic management, Value-driven management, Indian culture and wisdom, The ethical and spiritual values and Methods of heart and mind purification. Indian Styles of Leadership is well discussed in Chapter 11 covers Indian styles of leadership, `Born` leaders and `Made` leaders, Styles of management, Karta in Hindu undivided family, characteristics of leading business industrialists in India, Leadership Matrix analysis, Entrepreneurial leadership style, Role of Transformational leadership, Role of leadership character in management, Leadership style change according to the situation, with summary and exercise. 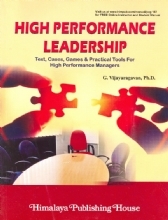 The best examples about Top Leaders as Role Models is seen in Chapter 12 includes Characteristics of the Indian leading industrialists, Family-managed Indian business organizations and MNCs in India, The structure of task-high leadership, The importance of values in leadership and Changing leadership style. Value-based Leadership − In Consciousness is covered in Chapter 13 with details about Aspects of science and consciousness, Consciousness in organizational theory, Management − The Lord Shiva of management, The deepest of your values at work, Spirituality in management. Chapter 14 gives in-depth information about Social Harmony and Social Morality that includes Mental Health, Ethics and morality, Corporate entity in ethics and morality, Holistic approach towards etho-morality, Salient Aspects of Social-cultural Change in India with Summary and exercise. Really, it is a modern approach that can be visualized from all the angles of Indian ethos. Prof. Dr. Kumardatta A. Ganjre holding the position as Campus Director at Akole Taluka Education Society`s Technical Campus, Approved by AICTE and affiliated to University of Pune, Pune. He is graduated from Dr. BAMU, Aurangabad and ranked in his MBA (Marketing) from SRTMU, Nanded. He has been awarded Ph.D. degree from NMU, Jalgaon in the year 2008. His rigorous work on Indian Ethos and professional experience of 13 years forced him to write the book on "Indian Ethos − Modern Management Mantra". Dr. Ganjre`s professional work involves Soft Skill Development Program, Leadership Style and developing marketing strategies for carving future in educational system. He is enrolled member of AIMA, ISBM and AIAER and holds more than 30 national and international publications to his credit. His areas of interest are Indian Style of Management, Developing Leadership Skills and Indian Ethos with building concepts in Modern Management. Dr. Prafulla Pawar is presently working as Associate Professor in Department of Management Sciences (PUMBA) of University of Pune. He is engineering graduate [BE − Electronics] from University of Pune and has done MBA in Marketing and MBA in Systems Management. 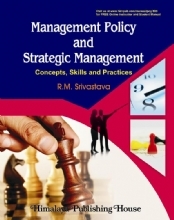 He holds a Ph.D. degree in Strategic Management. Dr. Pawar has previously worked with North Maharashtra University, Jalgaon and Dr. Babasaheb Ambedkar Marathwada University, Aurangabad. During his academic career of 14 years and industrial career of 4 years, he has published several research papers in reputed national and international journals. He is the author of two books in management. Dr. Pawar is a Visiting Professor for University of Deusto, Spain and University of Bologna, Italy. His interest areas are Strategic Management and emerging economies. 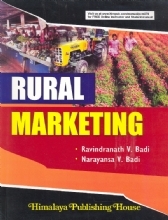 Prof. Renapure Laxman is a Assistant Professor at Mandar Education Society`s, Rajaram Shinde College of MBA, Pedhembe. He has been awarded MMS in Finance in May 2009 from the University of Mumbai. After completing PGDBM in 2003, he has completed M.Com, from Dr. BAMU, Aurangabad with 1st Class in 2006. He has 7 years of professional experience in academic and industry. His core competencies are in teaching subjects like Management Control System, Advance Financial Management and Corporate Law.